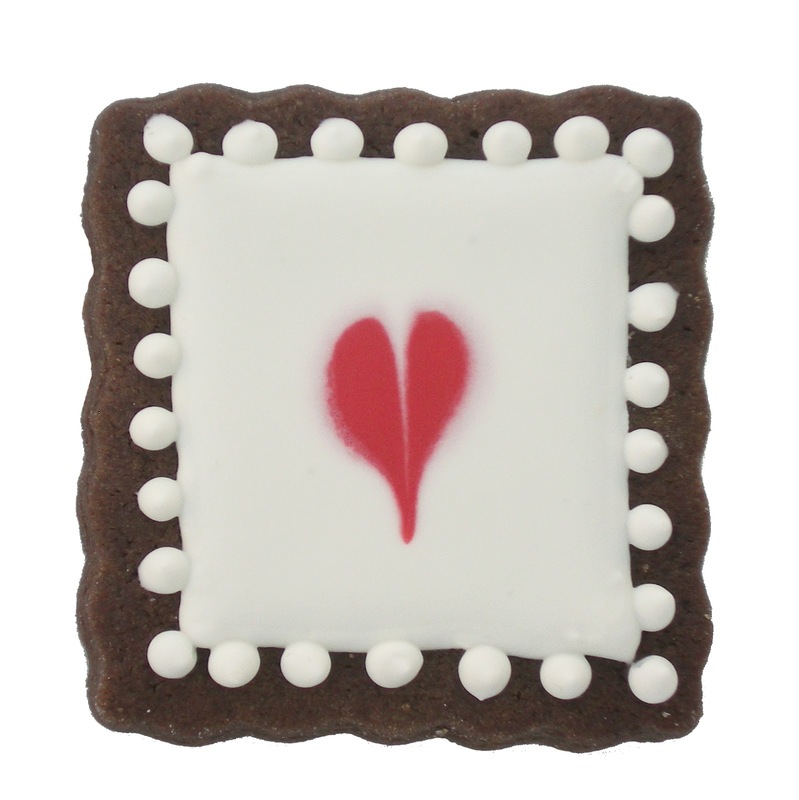 THE GINGER COOKIE: UH OH - LATE VALENTINES! 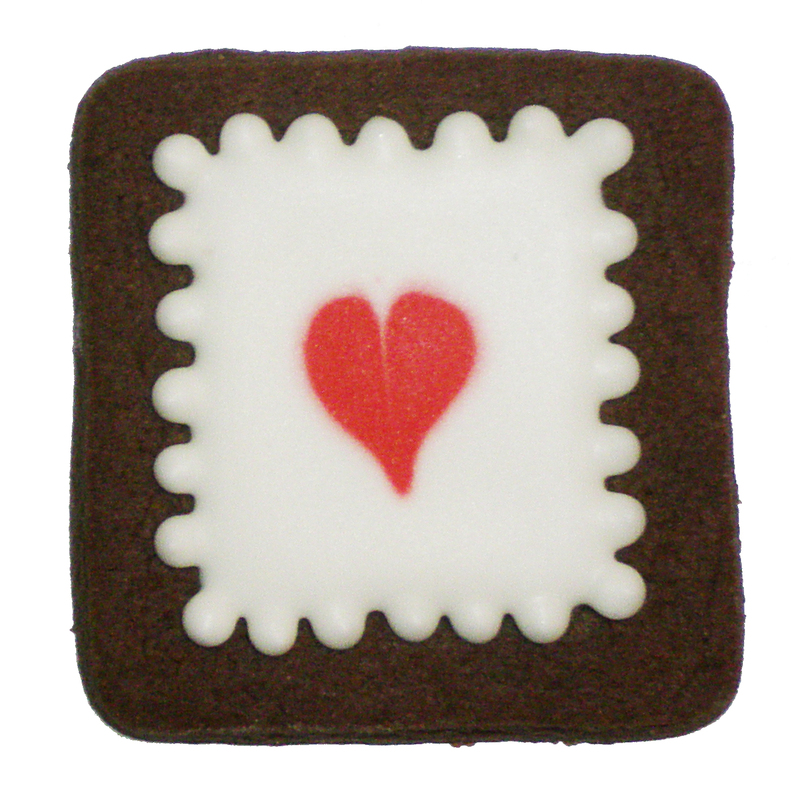 UH OH - LATE VALENTINES! 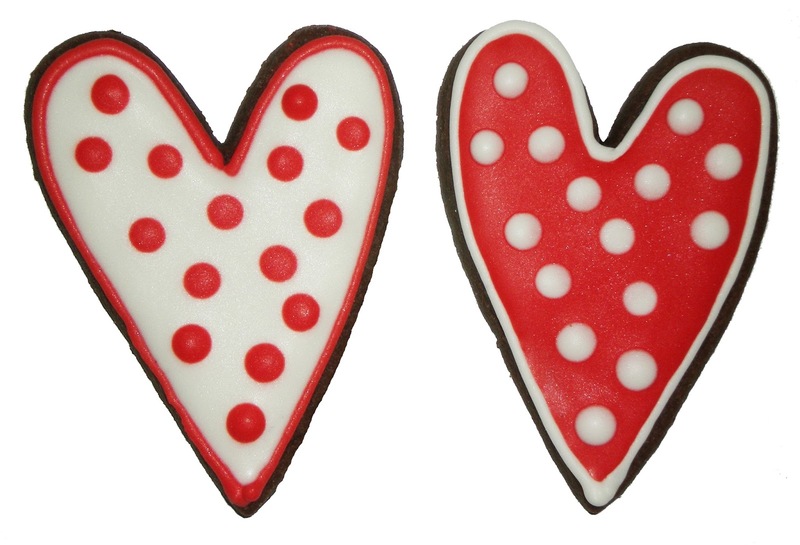 It's never too late to spread a little love around and this year it didn't happen for Valentine's Day cookie-wise - in this house anyhow. 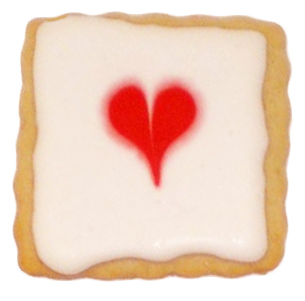 We had lots of chocolate and sugar cookie hearts but no "decorated" cookies. So here are some from a couple of years ago that were never posted. I am ALWAYS behind! At least it's still February! 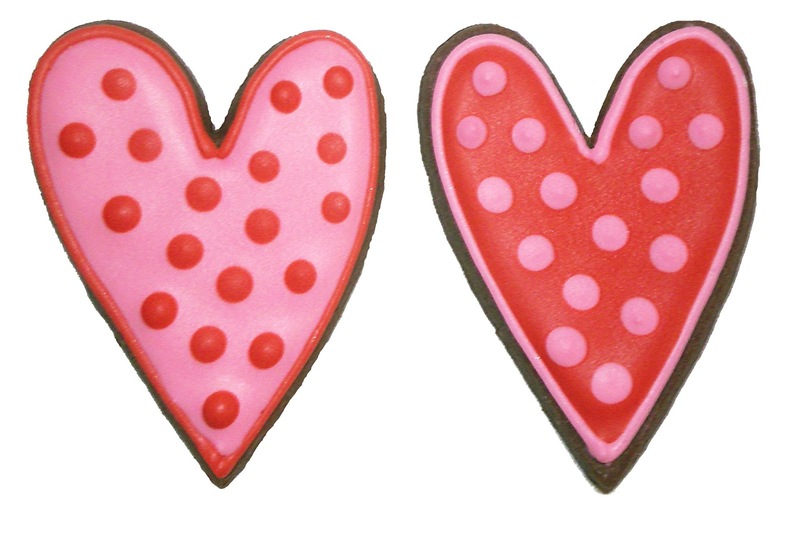 Red and pink are always in - chocolate cookies this time. Polka dots are fun to make and also a favorite. I had no luck the year I tried to make scallops by piping the icing - it was too runny and wanted to run off the cookie. I haven't tried again but could probably do better with a little more experience. but then I tried dots on a wet edge and that worked well.